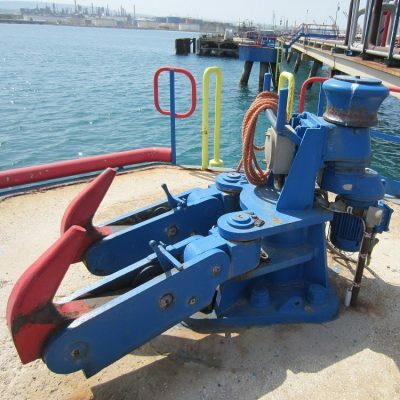 In 1976 Mampaey Offshore Industries supplied 26 Quick Release Mooring Units to the Esso Italiana (Exxon Mobil) Refinery Augusta in Sicily, Italy. These were single, double and triple units of different tonnages. Even after forty years of intensive use, the units remained in good condition. Of course, they showed some wear and tear, but none of the parts were worn out. This is mainly because our hook parts are made from certified steel plates. 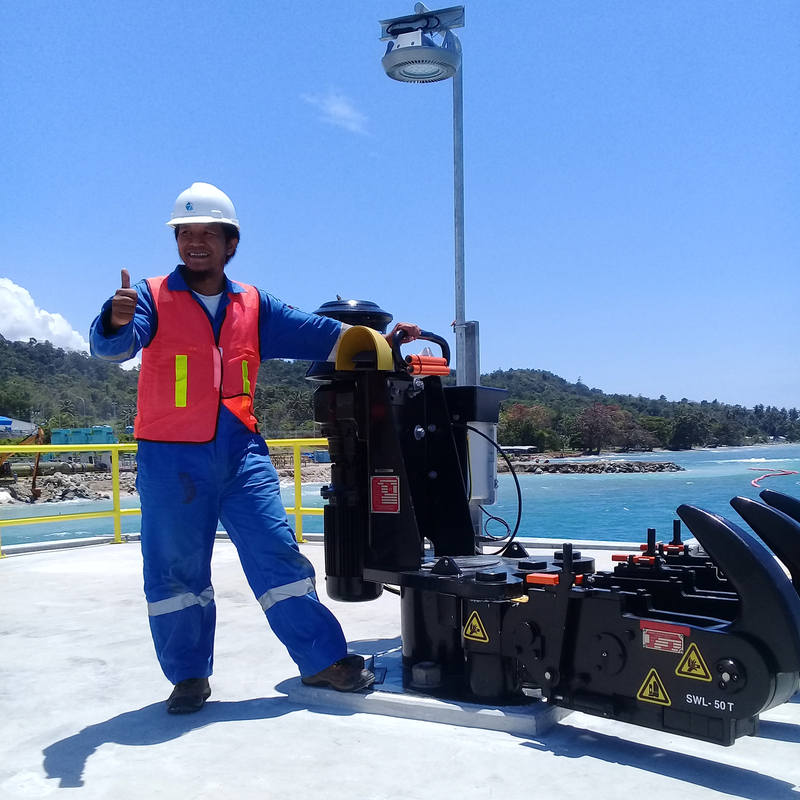 Because of this proven quality Esso Italiana contacted Mampaey Offshore Industries again when an upgrade to the jetty was needed. The Exxon Refinery Augusta in Sicily has been acquired by the Algerian state company Sonatrach in December 2018. 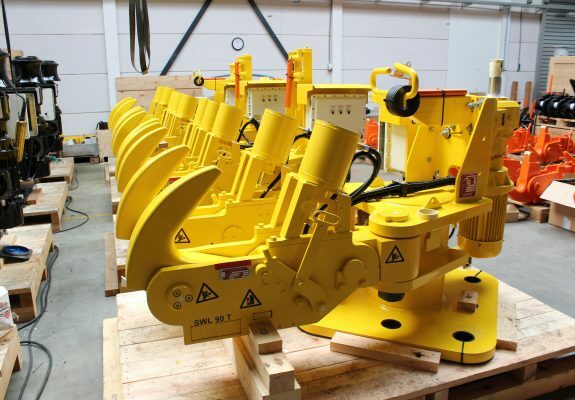 Before the acquisition we delivered seven Quick Release Mooring Units to the refinery; five double Quick Release Mooring Units with an Integral Capstan and an SWL of 90 tons plus two triple Quick Release Mooring Units with an integral fairlead and an SWL of 90 tons. Six of these units are equipped with the Electric Remote Control System. The new units were placed on the quay and several dolphins. Those dolphins cannot be reached by foot; to release the Mooring Units linesmen always needed to take a boat to reach them. 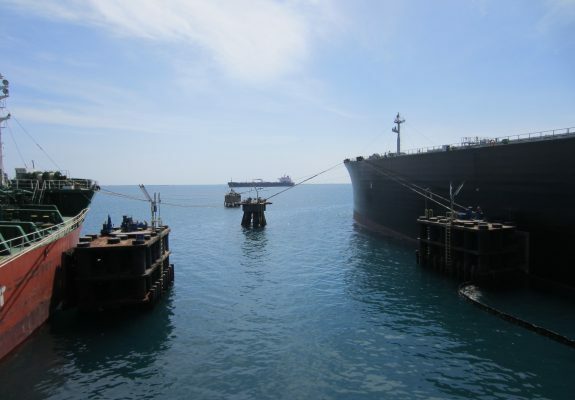 To upgrade the safety level of the terminal Mampaey was requested to install an Electric Remote Control System to be able to release the Mooring Units remotely. The first advantage is that the old units cannot be taken apart for a complete overhaul. The new units can be taken apart for maintenance and will therefore function for an even longer period. The second advantage is the addition of the Electric Remote Control System for added safety. 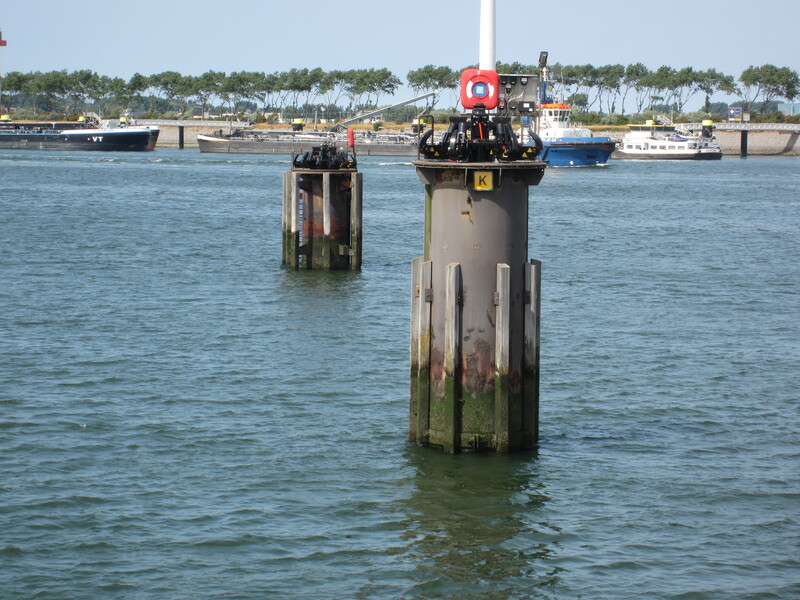 With this addition it is possible to release the Quick Release Mooring Units remotely in case of an emergency instead of taking a boat to the dolphin. Several of the units supplied in 1976 were triple Quick Release Mooring Units. 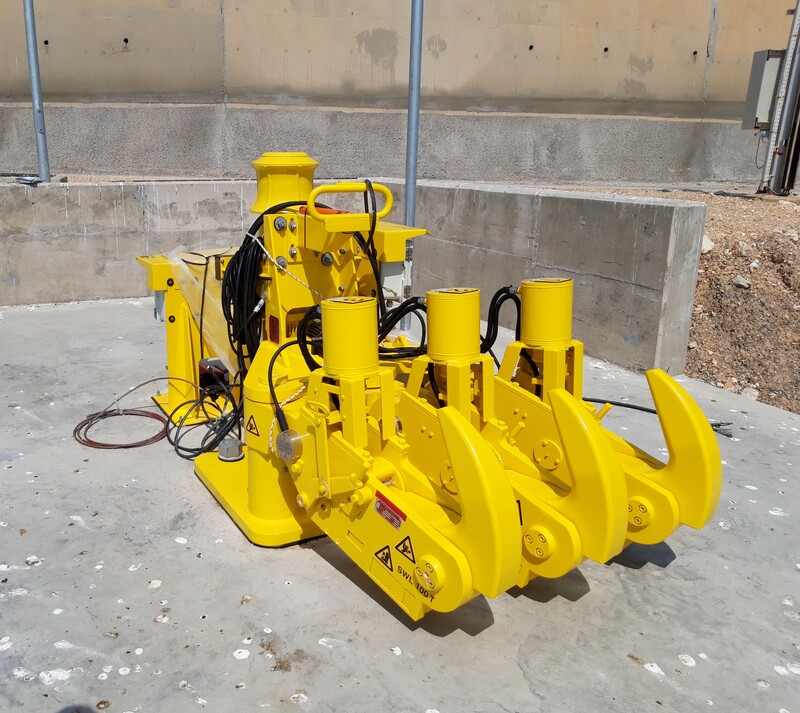 Some of the units supplied in 2016 and 2018 are double Quick Release Mooring Units, which are mounted on a different baseplate. Custom baseplates were offered for the double Units to fit the existing anchor bolts of the old triple Units. 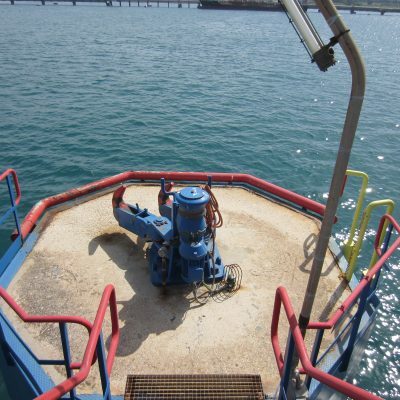 Thus, no modifications to the dolphin structure were needed, reducing the downtime of the jetty significantly. The remaining units of 1976 and the new units will be used for many more years to come.